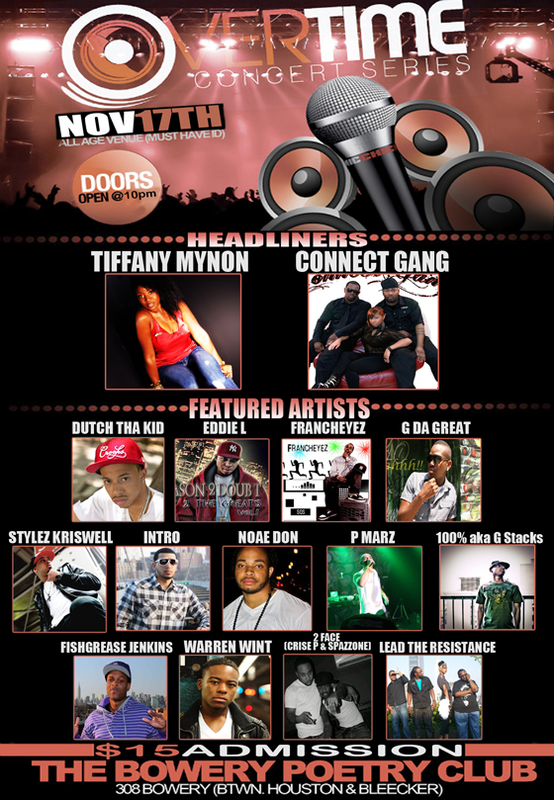 Platinum Boy Music's own "Angel Of R&B" Tiffany Mynon will co-headline on the Overtime Concert Series bill November 17th. Please view the flyer for venue information and the rest of the details. Hope to see you there!